When her children left for college, Melissa Shultz was certain that she had prepared them well for their new lives-but her own life was a different matter entirely. Her house was empty, her purpose unclear. If her life was no longer dominated by the day-to-day demands of being 'Mom,' then who exactly was she? And how would she ever move forward? From Mom to Me Again is the story of one woman's reinvention. 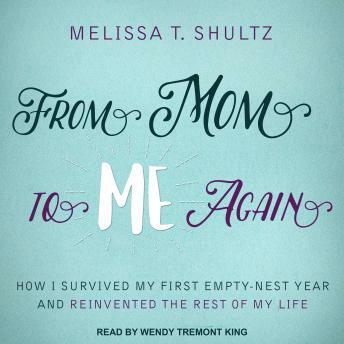 Shultz's struggle with the empty nest and the transformation of her marriage, friendships, career, and ultimately herself, is part memoir and part self-help guide. Funny, poignant, and practical, this book tells Shultz's personal story and provides valuable advice for listeners preparing to send their children off into the world. She shows women that while they'll always be mothers, it's time for them to take center stage in their own lives once again.